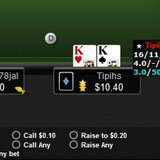 Each time you play a hand of online poker a small percentage of the pot is taken, or raked, by the house. Getting a portion of this money back is called: rakeback. The rakeback at poker rooms varies, but on average you can receive 30% to 50% of your monthly rake back in your online poker account. In a single month you could receive payments from $50 to $10,000+. The bottom line is: if you’re serious about increasing your profits then you need rakeback. How Much Rakeback are Players Getting? I first started playing poker when my brother gave me $50 on UB. I ran it up to $2,000, and moved from UB to PokerStars and Full Tilt, and now I’m playing on Carbon Poker. Ultimately, I want to build and play professionally! I began playing low stakes MTT’s in 2006. I soon realised that cash games were the way to make steady income. I took my bankroll, made the switch, and never looked back. 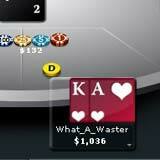 In 2007 I quit my job and have played professionally on WPT, PokerStars and 888 Poker ever since. Rakeback is a necessity in the current poker world. The games are more difficult than 3-4 years ago. Grinders like me would simply be leaving too much money on the tables if we didn’t take advantage. 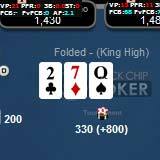 Most of my Rakeback comes from BlackChip Poker and Lock Poker. Rakeback increases your winnings from online poker as you continually earn money back from every raked hand or tournament you play.Many players earn a living wage from rakeback alone. Use the calculator below to estimate the size of payments you’ll get over a given period of time. The calculator will compute your expected daily, weekly, and monthly cash back depending on the stakes and tables you input.